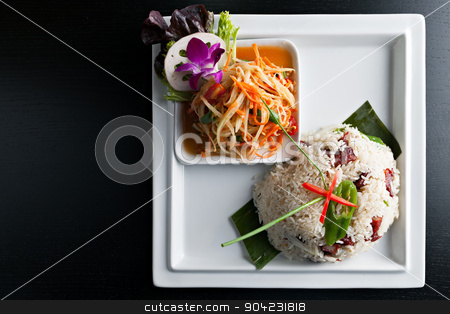 Traditional dish of freshly prepared Thai food. Thai Sausage and som tum green papaya salad. Top down on a square plate with copyspace.